The stars of “Nate & Jeremiah By Design” have sold their Hancock Park home three months after listing, and $2.5 million less than its asking. 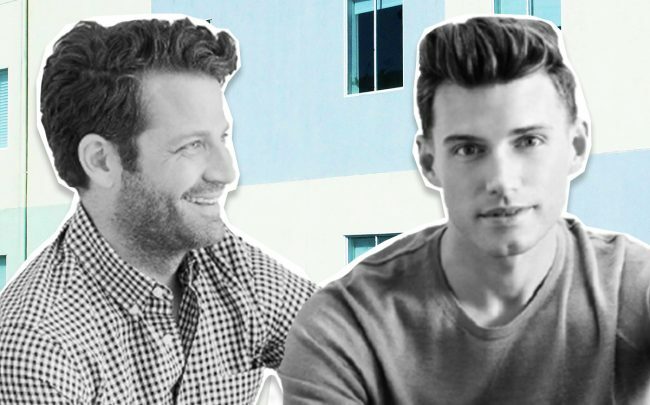 Nate Berkus and Jeremiah Brent sold the Spanish Colonial revival home for $11.3 million, the Los Angeles Times reported. The 90-year-old property was listed for $13.8 million in December. The married couple purchased the property three years ago for $8.2 million from “Friends” co-creator Marta Kauffman. It has been updated and renovated since, according to the Times. The 8,500 square-foot home includes six bedrooms, five bathrooms, two dining rooms, a library, a screening room, and a foyer with 17th century marble floors. The property is two-thirds of an acre and features a swimming pool, guest house, art studio, dining terrace, spa, bar and organic gardens. They have previously flipped properties in Hollywood and New York.